Stylish U-shaped sectional sofa suited for contemporary living rooms and lounges. White upholstery easily complements or stands out in elaborate or casual settings. Real leather front covering and high quality leather match on the back for durability. 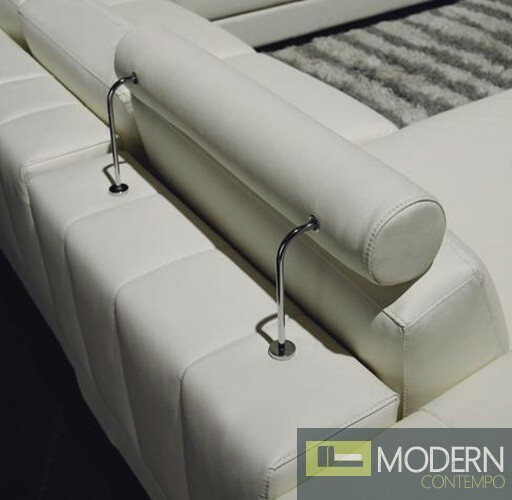 Unique features include an extended chaise base enclosed in quality leather, headrests, firm cushion padding and storage compartment located on the side of the arm rest. Customizable leather covering by special order.